Gov. Dannel Malloy signed legislation that authorizes the operation of a casino gaming facility in East Windsor. "Over the years, our state has maintained a longstanding partnership and compact with the Mohegan and Mashantucket Pequot tribal nations, who employ thousands of Connecticut residents at their casinos," Malloy said. "Make no mistake about it – the legislation I signed today is about jobs for the residents of Connecticut, and securing those jobs in our state." The legislation, Public Act 17-89, specifies that the casino will be owned and operated by MMCT Venutre, LLC, a joint venture of the Mashantucket Pequot and Mohegan tribes. The act comes with certain conditions. Firstly, a $1 million initial payment will be made by the tribes to the State of Connecticut. Secondly, the state will receive 25 percent of gross gaming revenue (GGR) from video facsimile games, and 25 percent of GGR from all other authorized games, with 10 percent of that amount going to the state’s tourism efforts and the remaining 15 percent toward the state’s general fund, Malloy's office wrote in a statement. MMCT will be responsible for paying $300,000 a year to address problem gambling. Additionally, the tribes will also handle costs of regulatory oversight conducted bye the Connecticut Department of Consumer Protection (DCP). Lastly, the towns of Ellington, Enfield, South Windsor, Windsor Locks, East Hartford and the City of Hartford will be paid annual grants from the state of $750,000. "This bill protects Connecticut jobs and adds new ones – it’s good for our economy and our workforce," Lt. Governor Nancy Wyman said. "It also speaks to our long relationship with Connecticut’s tribal nations and the importance of that partnership and the compact." 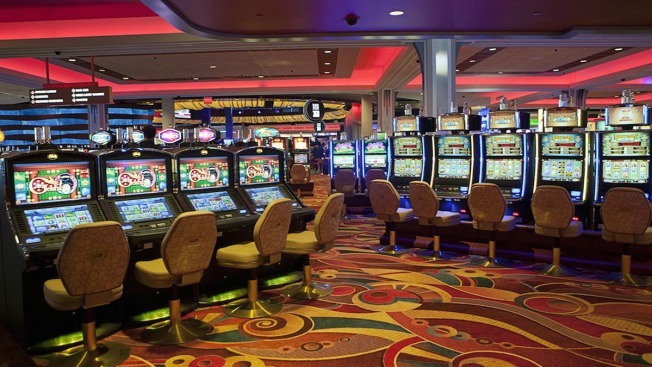 The legislation gives DCP oversight, licensing, and regulation over the East Windsor casino, and any other casino that may be authorized by the legislature in the future.